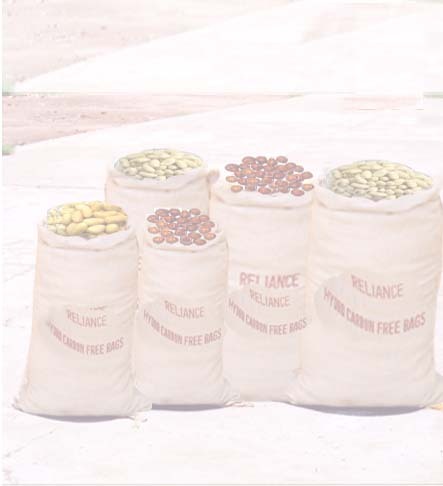 A sizeable quantity of Food Grade Jute Cloth/Bags (Hydrocarbon free ) are manufactured and exported by us to various countries.These are manufactured under the IJIRA licensing certificate and use vegetable oils (Rice Bran oil), rather than the conventional mineral oil called Jute Batching Oil. They are therefore known as Food Grade Jute Products (FGJP). Such cloth / bags are manufactured as per the customer specifications in both Hessian and Sacking qualities. They are used for the packing of Cocoa,Coffee, Hazelnuts,Peanuts, Shellnuts, etc.